About — Tin Bridge Brewing Co. It all started in a garage. A home brew project that started three years ago has grown into Westfield’s first visitable craft brewery. 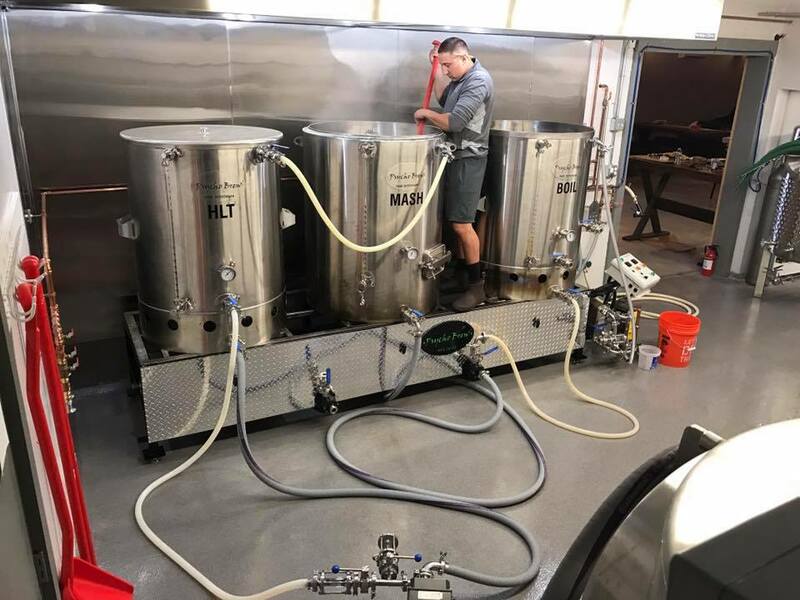 Founded by Joe Cocchi, guitarist for the popular metalcore band Within the Ruins, along with his brother Nick, Tin Bridge Brewing has opened its doors and started pouring. Located at 487 East Main Street, in an unassuming building next to the Big Y grocery store, the micro brewery features a large taproom that looks into the brew house, and includes a long bar, plenty of communal tables, shuffleboard and a few classic video games. Named after a nearby railroad bridge that faded out of use and had become a local hangout spot by the time Joe and Nick came of age, Tin Bridge might just help their home town become a Western Mass. craft beer destination.